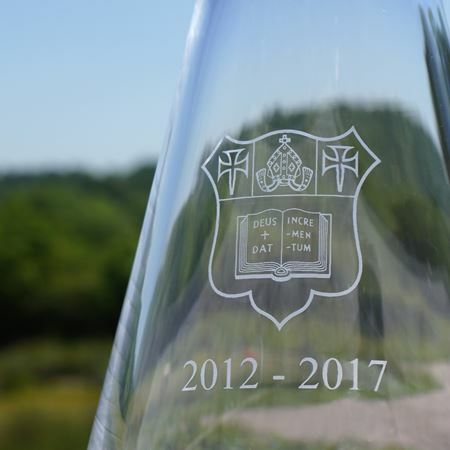 Browse our Schools Gallery for commission work we have designed and made for Schools over the past few years. 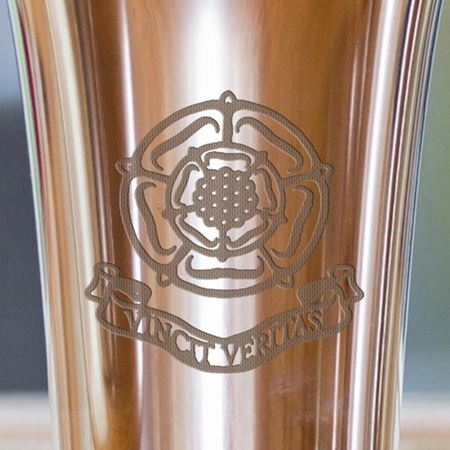 Please contact mark@inkerman.co.uk if you are interested in producing products for your school. 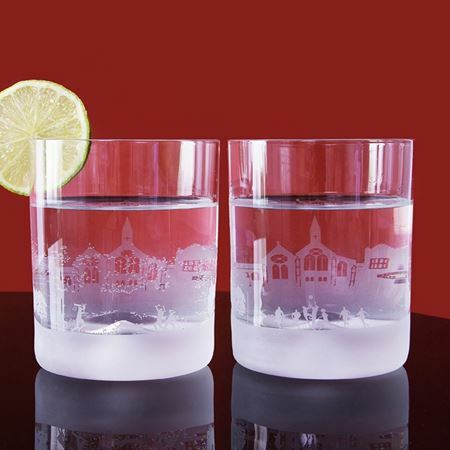 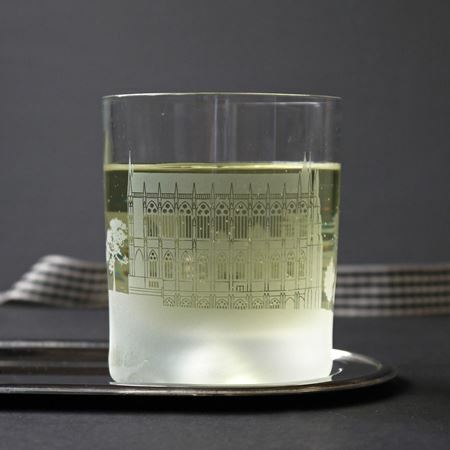 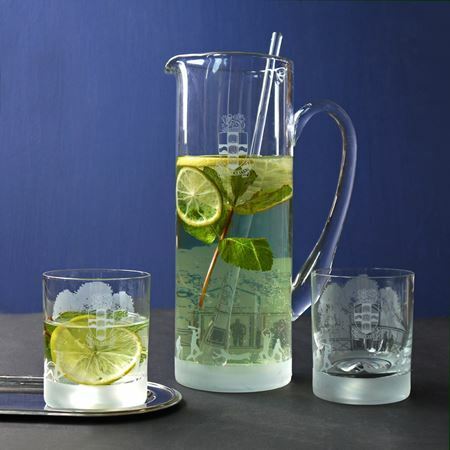 Westonbirt School Skyline Tumblers featuring an etched rendition of the beautiful Elizabethan style country manor house which is now the main school building, surrounded by the landscaped grounds. 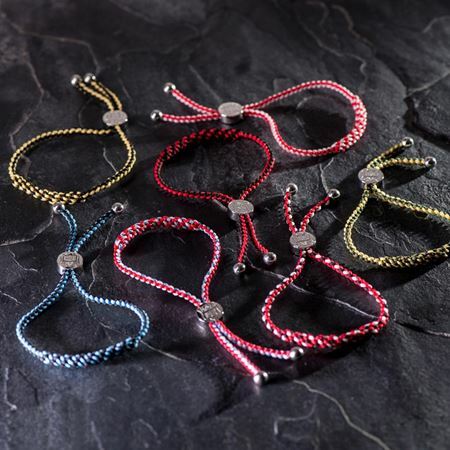 Marlborough College House friendship bracelets. 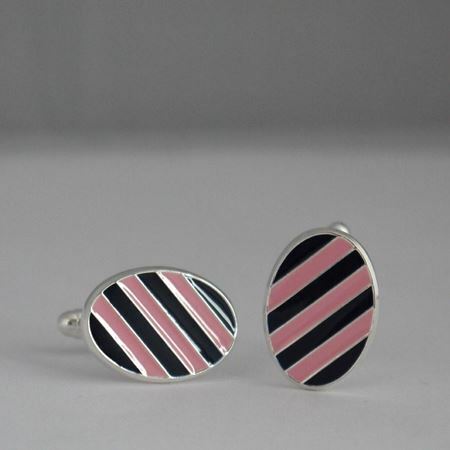 Made in individual house colours and struck with the school crest on the toggle. 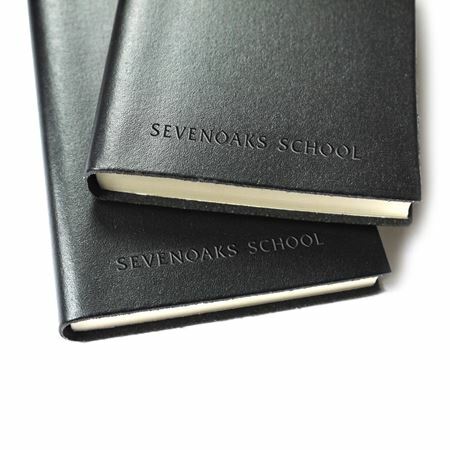 Sevenoaks School leather bound notebook, made in both A5 and A6 sizes, with elastic fastener and blind embossed with school logo. 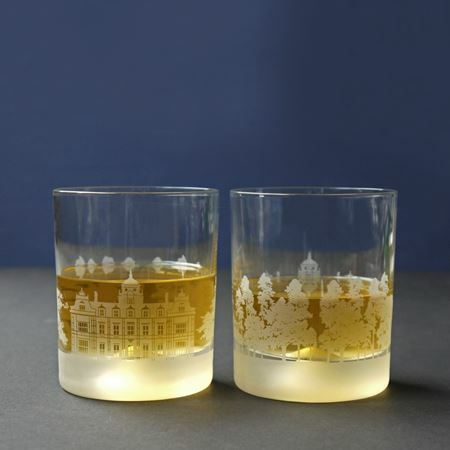 Brambletye School Skyline Tumblers. 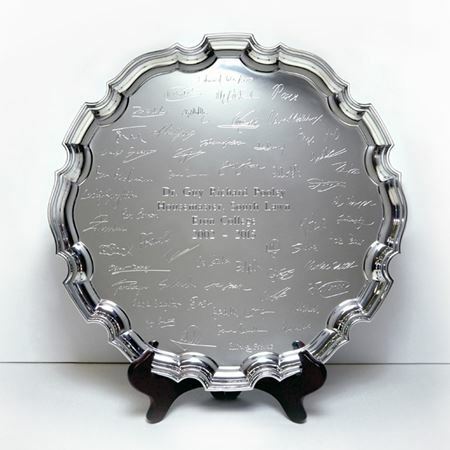 Etched around the base with the main school building and terraces leading to a school cricket scene below. 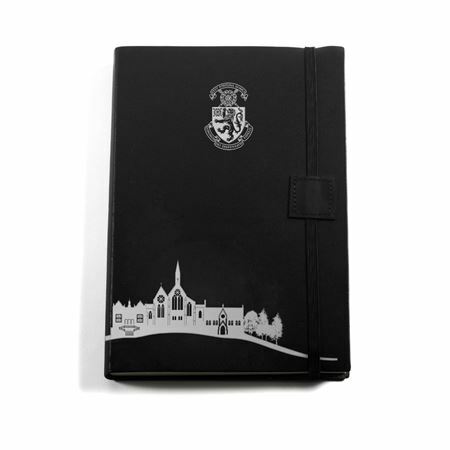 Harrow School Skyline Leather bound A5 Notebook with elastic fastener. 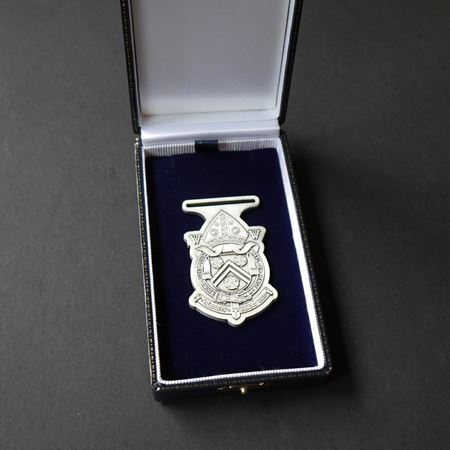 Embossed with the school crest, old school building, chapel and Vaughn library. 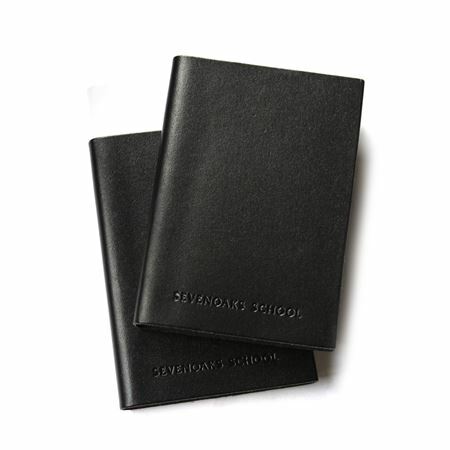 King's College leather bound A5 notebook with elastic fastener. 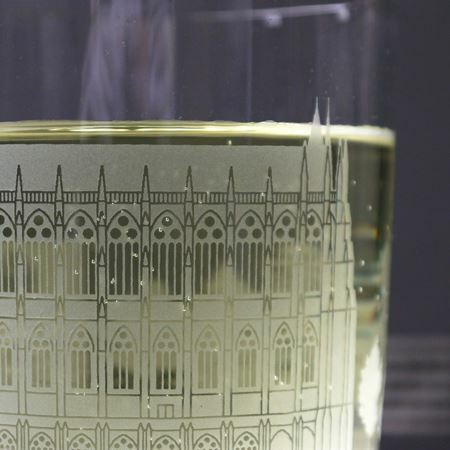 Embossed with the school logo and the main school building. 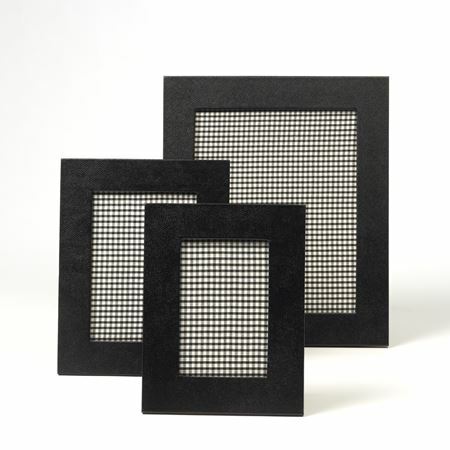 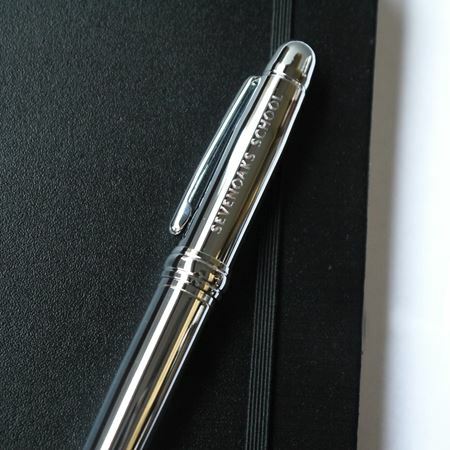 Contact sales@inkerman.co.uk or call on 01892 752211 for details and prices. 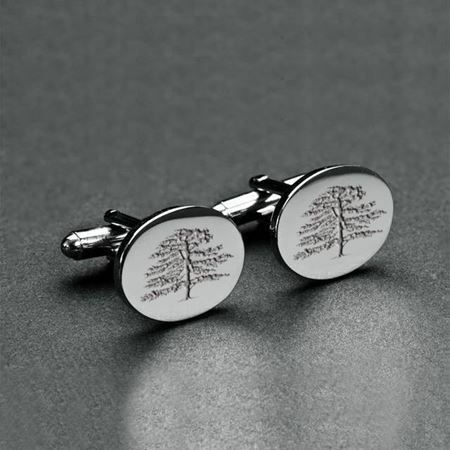 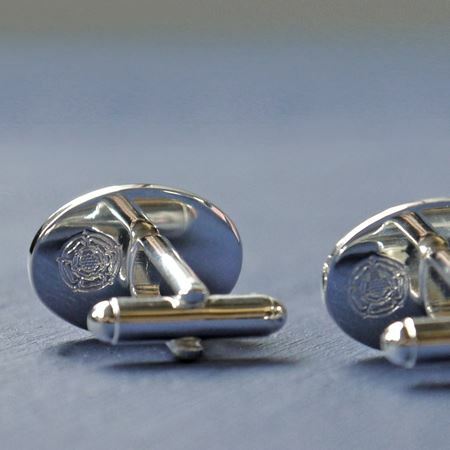 Custom made silver plate cufflinks engraved with the school's emblem. 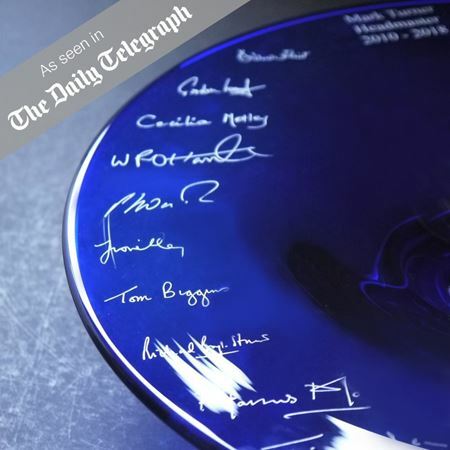 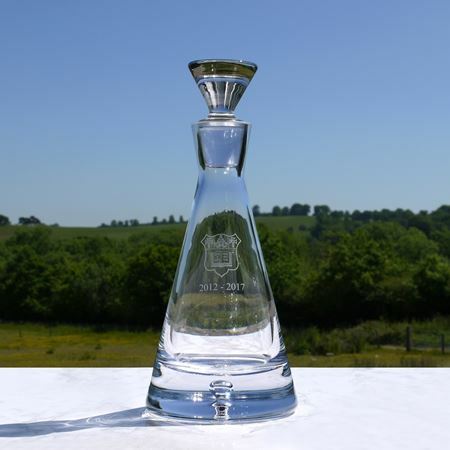 The ideal leavers or overseas gift. 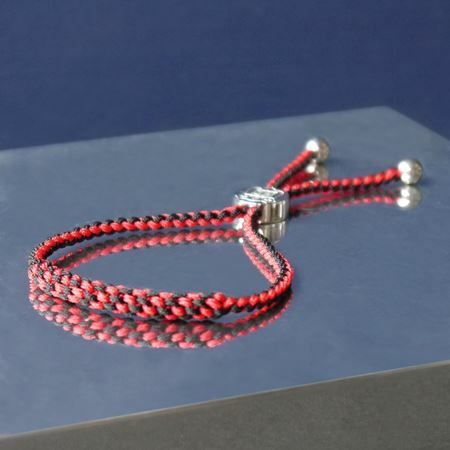 Port Regis school friendship bracelet with silver plated toggle. 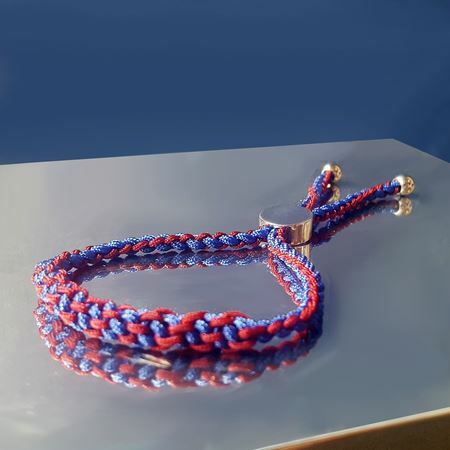 Custom made in the school's distinctive red and blue colours. 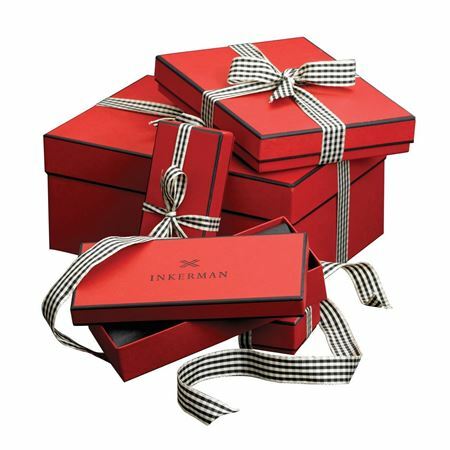 Contact sales@inkerman.co.uk or call on 01892 752211 for details and prices. 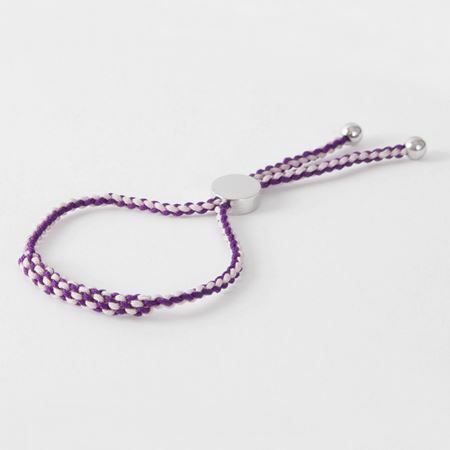 Sandroyd School leavers friendship bracelet in their distinctive purple and white school colours. 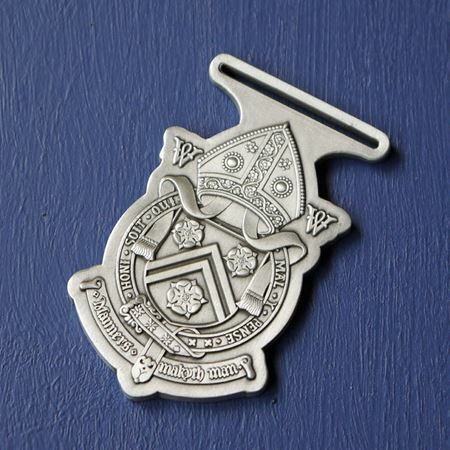 Finished with the school emblem die struck into the rhodium plated toggle. 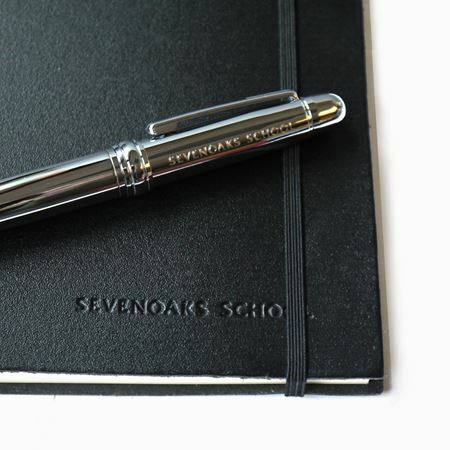 Chrome plated barbican executive pen engraved with the Sevenoaks School logo. 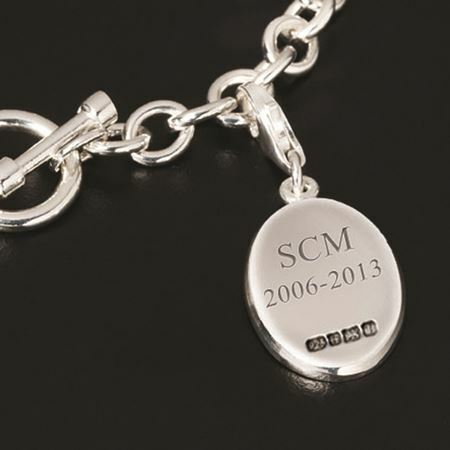 Brentwood School sterling silver charm bracelet, with bar and toggle fastening. 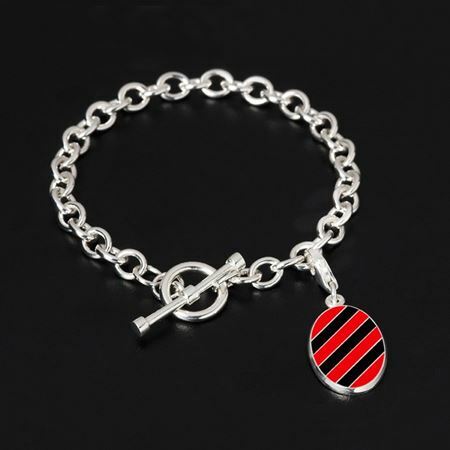 Hand enamelled oval tag in the school colours of red and black and struck with the English hallmark on the reverse. 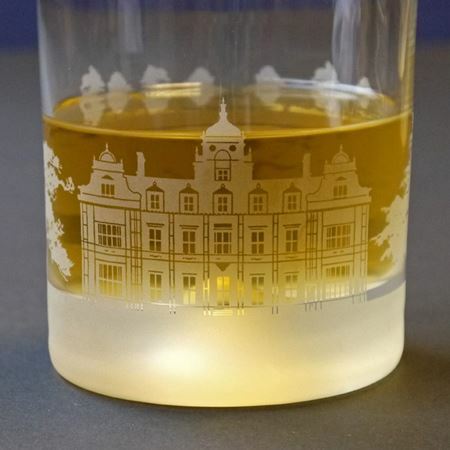 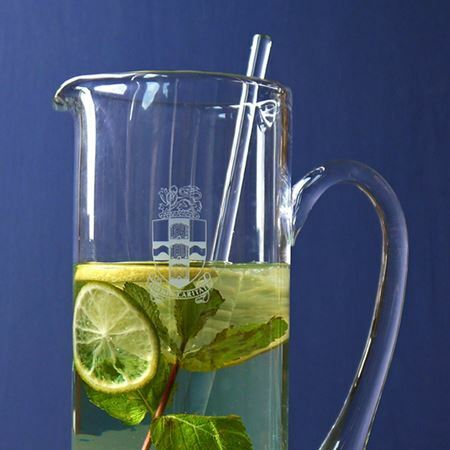 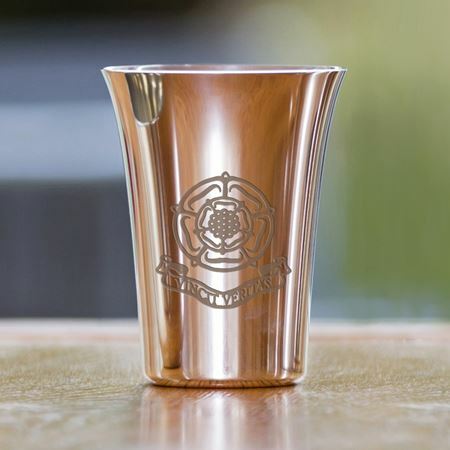 Harrow School Skyline tumblers, featuring a selection of the iconic school building leading down the 'hill' to either a cricket or Harrow football sporting scene. 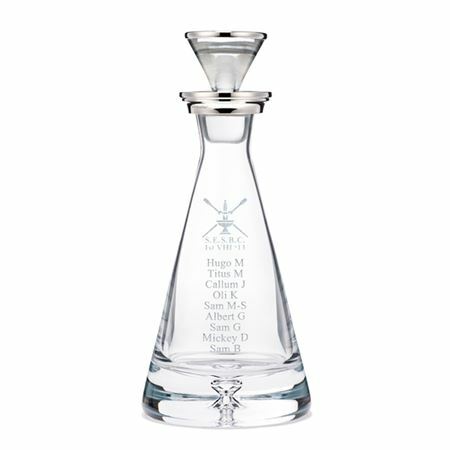 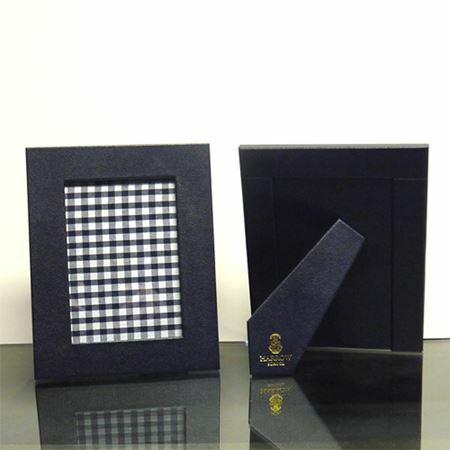 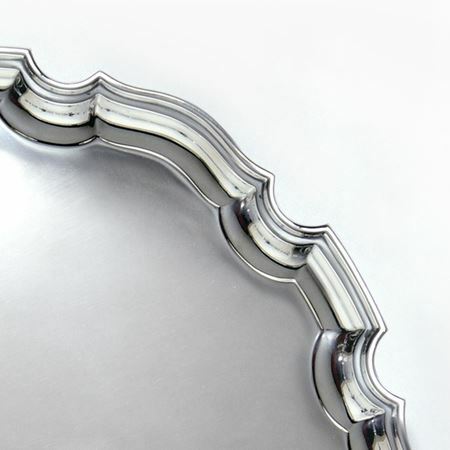 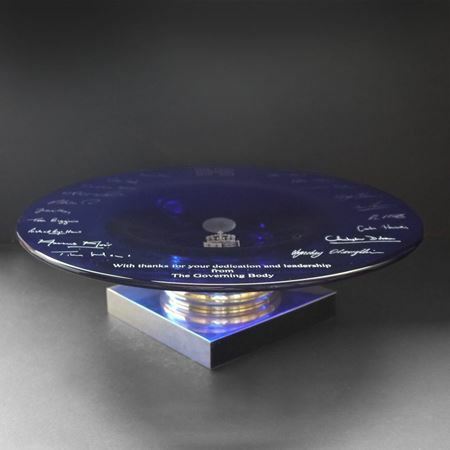 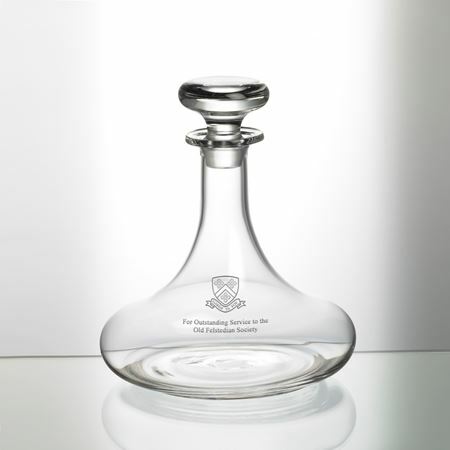 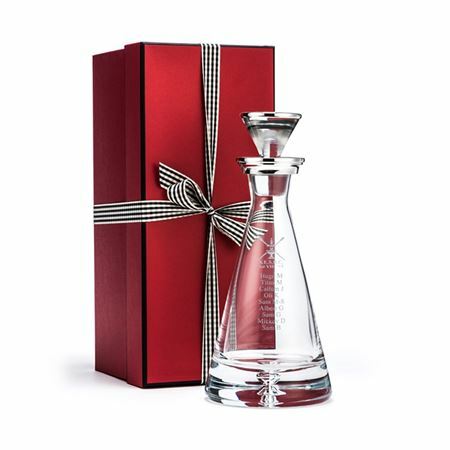 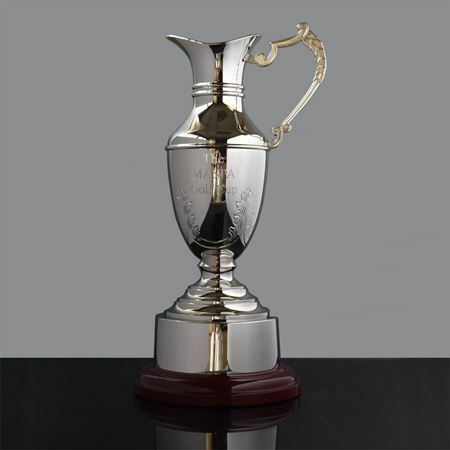 Browse our bespoke school gifts made from luxury materials such as leather, silver and crystal.